Wash together the par boiled rice, short grain rice along with split white lentils and soak for 1 hour. Grind to a smooth paste .Add water to make it of pouring consistency. Set the batter aside for 2 hours to ferment. Grind sprouts to a smooth paste, add to the fermented dosa batter along with the oats, oil, salt and ginger paste. Add enough water to get a smooth flowing consistency and season to taste. Heat a non stick dosa pan and smear with a few drops of oil. Pour a ladle full of batter in the centre and spread evenly with the back of a ladle. Sprinkle oil on the edges and cook till golden brown. olives as shown in the picture. A SMILEY FAMILY Dosa is ready to serve. 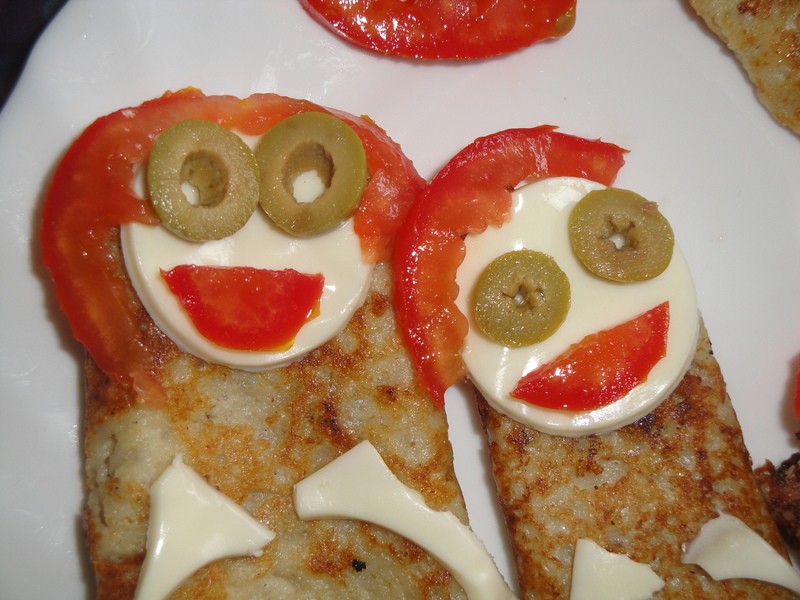 Kiddie Tip: Serve it with ketchup. Enjoy! This looks soooo nice! 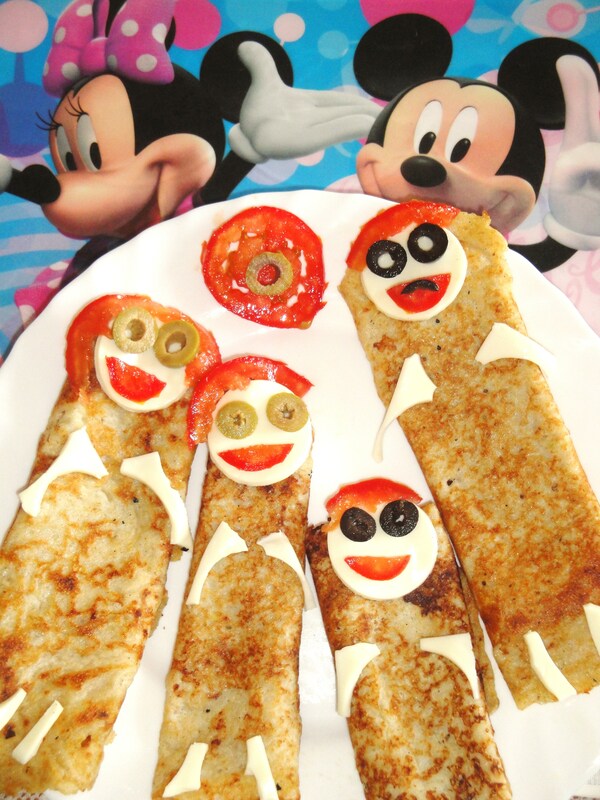 you’re so creative in serving food to your kids! definitely need to take some ideas from you!